Bala Dermatology is a full service dermatology practice located in Bala Cynwyd, PA. We provide early detection and removal of skin cancer, treatment of all skin conditions, and many cosmetic options to maximize the beauty and health of your skin. Our physicians offer 55 years of combined experience and timely appointment scheduling. We look forward to helping patients achieve their best, healthiest skin! Graduated with honors from the University of Pennsylvania School of Medicine with both M.D. and Ph.D. degrees in 1975. After graduation, Dr. Sherwin interned in Medicine at Lankenau Hospital before returning to the University of Pennsylvania to complete his dermatology residency. 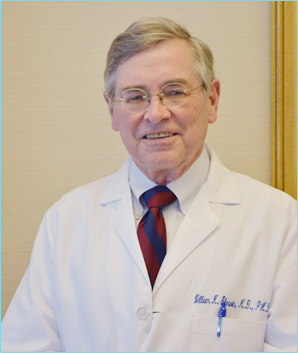 He was chosen to be Chief Resident at Penn and became board certified in 1979. Dr. Sherwin has authored and co-authored over fifteen scientific papers and book chapters. He has previously taught for many years at the American Academy of Dermatology and is a Fellow of the Academy. Dr. Sherwin is past president of the Pennsylvania Academy of Dermatology and is an active Fellow of that organization. He is also Fellow of the Philadelphia Dermatologic Society and an Annenberg Circle Member of the Dermatology Foundation which is a charitable organization funding dermatological care and research. Dr. Sherwin is a Full Clinical Professor at the University of Pennsylvania School of Medicine and has been active in their teaching program for over thirty years. He has received multiple Top Dermatologist and Top Physician awards. Mary Elizabeth (“Meg”) Griffin, D.O. is a board certified dermatologist who has been in practice since 2004. Dr. Griffin completed her undergraduate education at Bucknell University where she was a member of Phi Sigma Honor Society. She earned her medical degree from Philadelphia College of Osteopathic Medicine and was Chief Resident of Dermatology at Lehigh Valley Hospital. Dr. Griffin is a Fellow of the American Academy of Dermatology. Dr. Griffin practices medical, surgical and cosmetic dermatology. She has a special interest in treating and preventing skin cancer. She also enjoys helping patients to age gracefully with the help of nonsurgical cosmetic options such as Botox, Dysport, Juvederm, Restylane, Kybella, chemical peels, and laser treatments. She is an Associate Clinical Professor of Dermatology at the University of Pennsylvania Perlman School of Medicine and is active in their teaching program. With many years of experience in medical offices and hospitals, the staff at Bala Dermatology enjoys taking care of our patients’ dermatology needs. Our goal is to make your visit in our office as comfortable and easy as possible. Each of us takes pride in providing excellent care to our patients, from the minute you arrive in our office until your skin issues are completely resolved.